NYC's Greg Hoy has been a bit of a pop chameleon over the years, from his traditional power pop days in his band Hoy to the more modern rock and harder rock sensibilities found in his solo career. And now with a pair of new releases, Hoy continues genre-hopping. 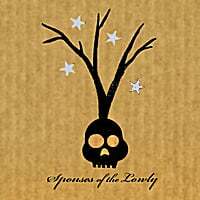 First up is Spouses of the Lowly, a concept album of sorts about temptation and infidelity that itself boasts many different pop styles. For example, opener "Spouse of the Lowly" (and the album-ending bookend title track) is expert pop noir, "Souvenir" dabbles in electro-pop, and "Jesus' Son" mixes in some blues in support of a "Bo Diddley" backbeat. Elsewhere, "TV Dinner" almost comes off as an Americanized Fratellis and "Temptation Town" is gentle folk-rock. But the standout here is "Highway 101", a casual 70s SoCal sounding tune that splits the difference between Blues Image and "Rosalita"-era Springsteen. This is one disc where no two songs sound the same, and that's a good thing. 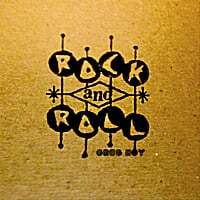 Hoy's other new release Rock and Roll is a straight-up genre exercise, the genre being 50s/early 60s rock and rockbilly a la Buddy Holly, Carl Perkins and early Elvis, and it's a hoot. The title track is pure Holly, "I'm Epic Curious" swings, "(She Gonna) Firebomb the Track" is a first-class rave-up and you can almost hear a little early Dylan in "She's My Cocaine". A record that's fun to listen to, and that sounds like it was fun to make - what rock and roll is all about. A couple of years ago I reviewed the fine debut EP Hundred Flowers from T.Kao, and now he's back with a new release in the works. Also, he's recorded an interesting cover of the Blondie classic "Heart of Glass" which you can download at ReverbNation. We'll let you know when the full-length becomes available. There's a lot of free music online these days, but even "free" music comes at a cost: your listening time. So it's nice to pass on something that's free but also worth a listen. Stu Lewis is offering up his debut EP Waste Not What Not gratis, and it's a fun 5-track helping of synth-influenced power pop a la The Cars or The Rentals. "With Authority" and "Stay Free" are the conventional standouts here, but the track that will really make you glad you gave this a download is "Michelle", Lewis' love letter to the First Lady ("I know she's a married two-time mama/but I'm love with Michelle Obama"). This track will either get him a command performance at the White House or placement on a Secret Service Watch List, but either way it'll get stuck in your head. A few months back, I related the tale of how Justin Kline's recordings were stolen and he needed help to finish his new EP. Many of you helped out, and your generosity has resulted in another fine release from the man who gave us our top EP of 2008. Triangle boasts four new tracks, and it's a worthy successor to Six Songs. "Baby, You're a Mess" leads off with pure pop goodness, with a melody and backing track that could have come from a 70s Saturday morning cartoon, and I mean that in a good way. Word of warning: don't leave the house or car with this song being the last you heard because it will monopolize your brain. The lilting, waltz-like "Please Go Away" will be a highlight for Jellyfish fanatics, and "Allison, We Cannot Be Friends" is another power pop gem. The near-ballad "Coffee Song" closes the proceedings out in baroque fashion, providing you the FDA's minimum daily requirement of "ba ba ba" backing vocals. The EP is available digitally, and it might just be the best $3.96 you spend this year. Marc Clayton & The Lazy Suns-S/T. Some fine Wilburyish popicana that splits the difference between George Harrison and Tom Petty. Top tracks: "Remember", "Only You", "Birthday Smile", "High Above the Rain". Neil Nathan-The Distance Calls. This NYC rocker's debut has certainly caught my attention. His opener is certainly attention-grabbing: an acoustic cover of ELO's (and The Move's) "Do Ya", and from there he continues with a song cycle that should have been on Elektra/Asylum in the 70s. "California Run" has an Eagles thing going, "When the Rain Falls" will appeal to fans of The Meadows, and "Get On" is an infectious R&B-influenced number. The whole album is streaming on his MySpace page. Eric Leitzinger-The Obsolete Man. What if Robert Pollard teamed up with Ryan Adams? Aside from having 300 releases a year, you'd get the sound of Ontario's Eric Leitzinger, who manages a quirky rock-and-roots based sound on his debut. The opening 1-2 punch of "End of the Line" and "Synchronize" give you the yin-yang of the two standbys I've compared him to, and other tracks to check out include the folky "In Two" and the haunting "Bed of Nails". Music this good is never obsolete. As it appears XTC is no longer a going concern, the void left by their Beatles-meet-Brian-Wilson-with-a-British-pop-sensibility sound has begun to be filled with artists like Pugwash, Captain Wilberforce and The Eisenhowers. 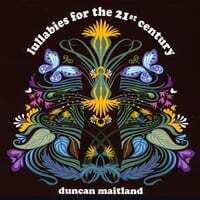 The latest entrant into this pop sub-genre is Dublin's Duncan Maitland and his most excellent debut disc Lullabies for the 21st Century. And not only does Maitland have help on this album from artists like Fran King and Barry O'Brien (whose 2004 Spark EP is an overlooked gem), XTC's Colin Moulding himself pops up to contribute bass on the opening track. That opening track is "Your Century" and it's a great indication of what's to follow: a tuneful, buoyant number that has the XTC meets the Beach Boys sound. "Terry the Toad" follows, a wonderful midtempo track that recalls Michael Carpenter and Cliff Hillis and isn't as silly as it title might indicate. "Crash Position" is firmly in the Brian Wilson camp, with it's Beach Boys "ba ba ba" backing vocals, while "Handbirds" is first-rate British chamber pop and "Alien at Home" synthesizes the styles already set forth on the disc in a manner reminiscent of The Red Button's "Floating By". Elsewhere, you have the rollicking pop of "Up to You", the lovely and reflective "Supermarket Dream", the Beatlesque "Lucky You" and the languid "Cry Me to Sleep". All in all, an excellent debut, a must for XTC fans, and another year-end contender. The Spanish power pop band The Riffbackers have made their 2009 release The Curtain Shop and Alterations available as a free download on Bandcamp. These guys used to be known as The Winnerys and had an album out on Rainbow Quartz about five years ago. It's good stuff, and the price is right. Smash Palace has been around since the 80s, but somehow they've managed to come up with what might be their best album in a deep catalog of quality releases. Whether it's the Revolver-styled cover or the dawn of a new decade or something in the air, these veteran Philly poppers have one of 2010's best on their hands. Long-time Palace fans will love this disc of course, but this is also a perfect time for the uninitiated to get on board. They're versatile among the many power pop styles - whether it be a mid-period Beatlesque sound, Byrds-like jangle or straight up power pop, they do it all well. The 1-2 punch of "Win it All" and "How Can You Say?" is perfect way to open the disc, with both being energetic and melodic rockers. "Holding Out for You" is the kind of tuneful ballad that might have been a hit in their 80s days, and "Human Kind" might just be the best song on the album, a punchy rocker with some jangle that definitely lives up to the promise of the Revolver cover art. The second half of the disc doesn't slack off either. The Tom Petty-ish "Here it Comes Again" would have made a great Side 2 opener in the days of LPs, with its insistent melody and "whoa-oh-oh-oh" backing vocals. The gentle acoustic guitar-and-piano ballad "Bridge of Sighs" is another triumph, and "Dead End Street" is classic Smash Palace. "Somebody Up There Likes Me" boasts some nice Harrisonesque slide guitar and "Solo" closes the album in style with yet another catchy melody. It's certainly a lucky "7" for both Smash Palace and anyone who picks up this disc.